'S e bliadhna leum anns a' Mhìosachan Griogarach a tha ann an 2016. 13 an t-Iuchar - Chaidh Theresa May na Prìomhaire Breatannach. 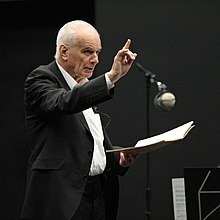 14 am Màrt - Peter Maxwell Davies, sgrìobhaiche ciùil. 19 an Giblean - Walter Kohn, ceimigear às an Ostair. 30 an Giblean - Harold Kroto, ceimigear à Sasainn. 3 an t-Ògmhios - Muhammed Ali, ann am Phoenix, Arizona. Dòrnaire às na Stàitean Aonaichte. 19 an t-Iuchar - Garry Marshall, cleasaiche às na Stàitean Aonaichte. 26 an t-Iuchar - Magaidh Dhòmhnallach, seinneadair à Alba. 3 an Lùnastal - Ahmed H. Zewail, ceimigear às an Èipheit. 24 an Lùnastal - Roger Y. Tsien, ceimigear às na Stàitean Aonaichte. 25 an Lùnastal - James Watson Cronin, eòlaiche-fiosaig às na Stàitean Aonaichte. 7 an t-Samhain - Leonard Cohen, ceòladair à Canada. 25 an t-Samhain - Fidel Alejandro Castro Ruz, ann an La Habana. Neach-poileataigs à Cùba. 30 an t-Samhain - An t-Urramach Ailean Iain MacArtair, ministear agus comhairliche à Alba. 7 an Dùbhlachd - Alex Johnstone, neach-poileataigs à Alba. 8 an Dùbhlachd - John Glenn, ann an Columbus. Saighdear, paidhleat, speuradair agus neach-poileataigs às na Stàitean Aonaichte. Air a tharraing à "https://gd.wikipedia.org/w/index.php?title=2016&oldid=526125"
Chaidh an duilleag seo a dheasachadh 30 dhen Dùbhlachd 2016 aig 22:18 turas mu dheireadh.